Bangabandhu epitomised Bangladesh in every sense of the word. For his whole life he struggled for the freedom of Bangalees, especially for their economic freedom. In his historic 7th March speech Bangabandhu repeatedly uttered the word ‘freedom’. The people from all walks of life responded overwhelmingly to his call for the fight for emancipation, and were ready to make supreme sacrifice for the nation. Eventually, after a nine-month long bloody war, which claimed three million lives of the freedom-loving people, an independent Bangladesh was born. Soon after independence earned through great and glorious sacrifices, Bangabandhu dedicated himself in nation building in line with our own needs and priorities. But on the fateful night of 15 August 1975 the Father of the Nation was assassinated along with most of his family members. The country’s prospective march toward inclusive development had come to a screeching halt. The whole nation fought for liberation under the leadership of Bangabandhu in the hope of building a just and equal society, but in his absence the infant nation became rudderless and started moving in the wrong direction. However, after a long time the country once again is heading along the right direction under the leadership of his able daughter and our current Prime Minister Sheikh Hasina. She took great pains to succeed in presenting Bangladesh before the world as a role model of inclusive and sustainable development. We are hopeful that the progress will sustain for a few more decades thanks to ‘demographic’ and ‘density dividend’. And these are the reasons that make the development story of Bangladesh all the more fascinating. Lest we forget, it was none other than Bangabandhu Sheikh Mujibur Rahman who laid the foundation of this remarkable growth. In this light, let me discuss some aspects of Bangabandhu’s philosophy and practices regarding inclusive development. Much earlier before the independence of Bangladesh the term ‘Golden Bengal’ was used umpteen times in writings as well as speeches of Bangabandhu. To him the term ‘Golden Bengal’ was no political rhetoric. This desire came naturally to him as he was well aware of the past glory of this region. He knew that Bengal was a treasure trove of riches even a few centuries ago. This region was well-known across the globe for abundant agricultural produces thanks to favourable weather conditions, fertile land and large numbers of rivers scattered all around. Bangabandhu was abreast of this glorious past, and he believed that it was possible to regain that lost glory through struggle for people’s emancipation. Thus he started his struggle long before the independence. Pakistani one-eyed ruling class started treating Bangladesh (the then East Pakistan) unfairly right after the foundation of the unrealistic state structure. Bangabandhu was always vocal against any disparity. He was aware of the economic aspects of this disparity apart from its political and social dimensions. That is why he vehemently protested against the “Federal Control of Industries Act” of the Pakistan government. He rightly pointed out that by enacting this law the central government seized control of the industrial sector bypassing the provincial government. For example, from 1953 to 1956 the central government allocated taka 35 crore for 150 large industrial units in West Pakistan, while on the corresponding period allocation for East Pakistan’s 47 large industrial units was only taka two crore. Besides, the then central government was allocating more funds for West Pakistan’s agricultural sector in spite of the fact that potentials of East Pakistan’s agricultural growth were far higher. High quality jute and jute products produced by Bangladeshi farmers was a major source of export earnings. But 90 per cent of the total earnings from this sector was spent to meet import costs of West Pakistan. Even large industrial units of the East Pakistan were handed over to the industrialists of West Pakistan. Bangabandhu was firmly committed to changing fate of the people of this region by ending this devastating disparity. Therefore, when he was made industrial minister of the provincial government, he tried his best to ensure growth of local industries. As per his proposal the full control of East Pakistan’s industries and commerce was supposed to be given to the hand of its provincial government from January 1957. He proposed forming a committee to find out the sources of biased attitude and actions against the East by the West. The West Pakistani authorities indeed formed a committee in this regarding following his demand. Headed by Professor Nurul Islam and comprised of Bangalee economists, the committee echoed the concerns voiced by Bangabandhu. But soon the committee’s report was put into cold storage and it never saw the light. Bangabandhu’s determination to ensure economic freedom of the people of this region and West Pakistan’s denial to do so, acted as the most important catalysts leading to the War of Liberation and ultimate freedom in 1971. Freedom fighters harboured the dream of economic equity. They believed that if Bangladesh can be liberated, economic inequality will reduce. Farmers will receive subsidy. Social safety net will increase. The Constitution of 1972 perfectly reflected all such mass expectations. The fundamental principles of state policy clearly indicated that all kinds of inequity will be reduced. Returning to the newly independent country Bangabandhu came face to face with the country’s infrastructural ruins, economic devastation, millions of hungry mouths and tough geopolitical challenges. He was not opposed to foreign assistance, but received no deals losing his dignity. In 1973 the then vice president of the World Bank Peter Cargill met Bangabandhu on the sideline of first international aid consortium in Bangladesh. Then he asked Bangabandhu, if assistance is not taken from donors what the people of Bangladesh will eat. Then Bangabandhu took him near a window at Gonobhaban and asked him “What can you see outside?” Cargill replied, “I see a beautiful field with green grass.” Then Bangabandhu said, “If you decide to deliver no assistance, my people will eat this.” Such a leader of high self esteem Bangabandhu was. Later on the donors agreed on a deal with much easier terms. Now we can find similar dignified leadership qualities in his daughter. Her resolute leadership style was evident when she decided to build Padma Bridge with our own funding after the World Bank had backtracked from financing the project. Now the World Bank apparently treats her more carefully. From here we can reasonably surmise that Bangabandhu gave high priority to both agriculture and industrialisation. He rightly understood that agricultural sector was not only a source of food supply, but would also remain as the primary source of income for most of the people for generations to come. Apart from poverty alleviation, agriculture would also provide raw materials for industrial sector. So, right after independence Bangabandhu adopted a bunch of well-thought-out policies for the growth of agricultural sector. He was also well aware of interdependence of agriculture and industry. Bangabandhu knew that there was no substitute to industrialisation. But unleashing the growth of industrialisation in the newly independent country was a big challenge for him because we had zero foreign reserve, no foreign investment, only a handful of backward and forward linkages and very few people who had necessary entrepreneurial skills. Therefore, he took the right decision to facilitate the growth of industries under state sponsorship. Although for some very valid reasons Bangabandhu initially decided to propel industrialisation through nationalisation, his mid- and long-term plan was to create proper environment for the growth of the private sector. For example, in the proposed budget for 1974-75 fiscal year, the ceiling for individual investors was raised from Tk. 25 lakh to Tk. 3 crore, allowing private sector to set up industries. Besides, ownership of 133 factories left by Pakistani investors was handed over to private sector. So, the first step of ‘deregulation’ was started from Bangabandhu’s period. Without an iota of doubt, Bangabandhu was leading the country toward an inclusive economy by adopting well-thought-out agricultural and industrial policies. 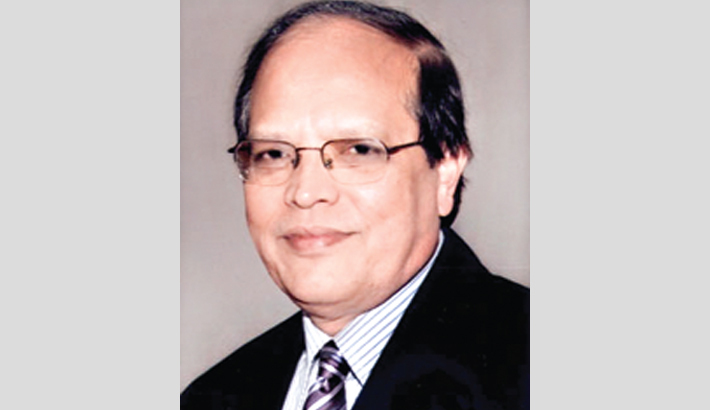 But evil forces snatched him away from us and as a consequence Bangladesh skidded off the road to development. After many years of wait, struggle and sacrifice Bangabandhu’s able daughter and our current Prime Minister Sheikh Hasina reverted back the country to the right track. Navigating through a plethora of challenges like poverty, lack of exportable items and unskilled manpower, her government managed to put the economy on a sound footing from where we can hope that we will be able to celebrate Bangabandhu’s birth centennial as a dynamic and growing economy. Our GDP has been growing at the rate of more than 7 per cent over the last four years. This year it is hoped that GDP growth will surpass 8 per cent benchmark. Compared to other neighbouring countries, this achievement really looks eye-catching. Standing on this firm footing, it is hoped that we will be able implement the Delta Plan 2100, and become an upper-middle income country by 2031 and a developed country by 2041 as envisioned by Prime Minister Sheikh Hasina. However, we must focus on qualitative side of project implementation. Quality implementation is the biggest challenge before us.